Matthias served his apprenticeship at “Im Schiffchen” in Dusseldorf, a restaurant holding a very rare and coveted 3 Michelin stars. 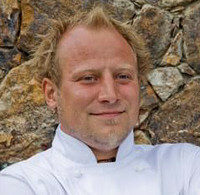 He then worked at “Lorenz Adlon” which is also a Michelin star holder, in Berlin. You can imagine how excited we were when his CV came through the email! We always look for somebody who is really well trained and disciplined in the kitchen, but as mentioned before, the passion must be there or nothing else will follow. So when he wrote in his CV “the warm kitchen is my passion”, we thought: he sounds like our kind of guy. “The Beach is my passion” wouldn’t quite have made the same impression. Matthias is clever with food. Much talk revolves around fresh, seasonal ingredients – yes, we applaud that concept and have grown our own greens to take advantage of that as much as we can here at Mudbrick. But what is happening at Mudbrick is so much more than that. A really good cafe will present simple, beautiful fresh food from the best ingredients. Matthias goes way further than that. He extracts essences, he makes little reductions, he prepares his own ground powders, he whips up his own little sorbets… the amuse of the day is some little flavour-burst from what he is working on at present… Much talk revolves around food that is too fussy, yes we agree with that but fine food, really interesting, beautiful food with such flavour interest hasn’t just occurred, as every good cook knows, it’s been skillfully treated, yet presents as deceptively simple. There is a lot going on in every dish at Mudbrick, and it’s very exciting for both of us as owners, says Robyn, in that we feel the Mudbrick has reached a new level in sophistication regarding its food with internationally experienced chefs at the helm. This delivers you an experience you’ll love and remember but most importantly, you’ll enjoy! 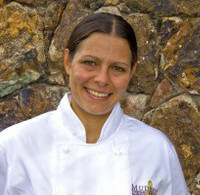 Monica joined us in 2008 and has taken our desserts to an entirely elevated status. Monica completed her 3 year apprenticeship in Germany doing classical German confectionery. She attended a master school in Cologne for one year, and has subsequently worked in 5 star hotels around the world, including the acclaimed Restaurante Adlon-Kempinski in Berlin. She loves putting a different spin on the desserts and it is always a delightful surprise both to the eyes and senses when a new dessert from Monica is delivered. 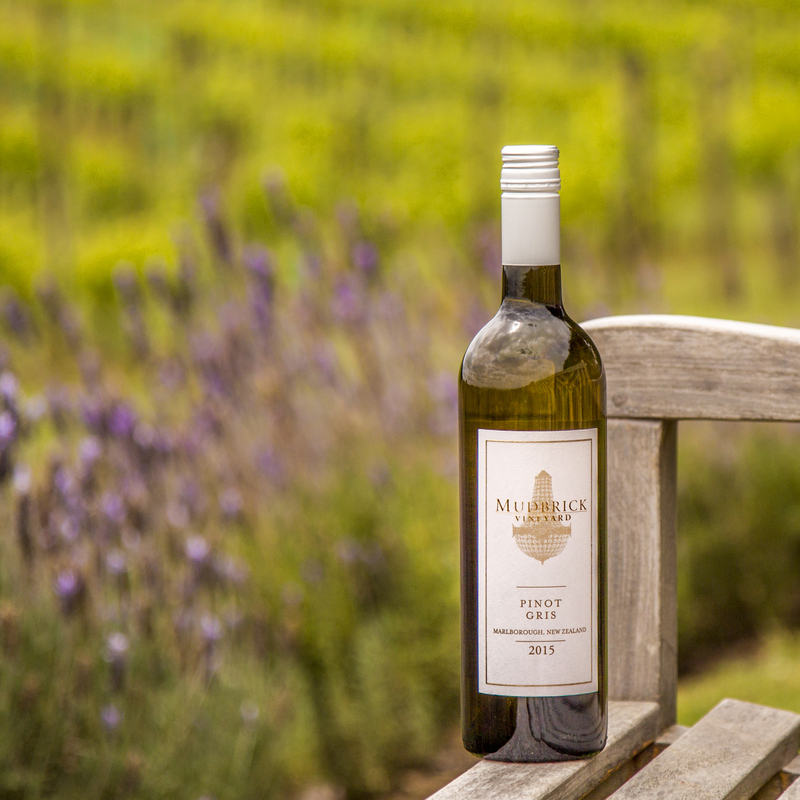 Patrick Newton became the Mudbrick Winemaker in 2011. 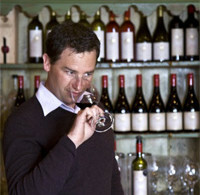 Prior to joining the Mudbrick team Patrick had gained a wealth of experience in the wine industry from a young age. He spent his childhood working on the family-owned Cornerstone Vineyard in the famous Gimblett Gravels wine region. Once he finished school, Patrick studied at Lincoln University, and in 2005 graduated with a Bachelor of Viticulture and Oenology. Eager to gain experience, Patrick completed international vintages in Australia, Germany and the USA. Patrick has also worked at several New Zealand wineries including Forrest Estate, Villa Maria Estate, Constellation, Esk Valley Estate and, for four years, as Assistant Winemaker at Vidal Wines in Hawke’s Bay. Patrick makes his wines with minimal handling to allow a true expression of terroir to come through in every wine. Its always interesting when different winemakers make wine from the same property – they are similiar to chefs in a way that they have their own tastes and recipes for winemaking. 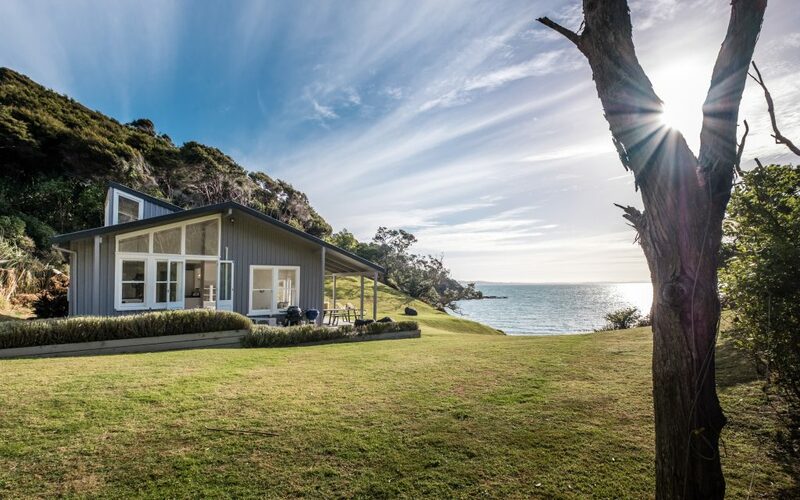 Holidays on Waiheke as a teenager inspired an interest in wine and vineyards which lead to Nick studying Viticulture after leaving school. After completing his studies he worked in wineries in Marlborough and Auckland gaining experience before heading overseas. He worked the 2005 vintage at Chateau La Tour Blanche in Sauternes, Bordeaux. On returning home Stonyridge beckoned for two seasons as Vineyard Foreman, learning about the unique demands of Island wine production. Then back to Bordeaux for a vintage winemaker job at a small producer and on to the Hunter Valley in Australia. After his overseas vintages Nick thought he was heading in the direction of Winemaking so went back to University to study Wine Science. However, life had a different idea and he moved to Hawkes Bay to take a Viticulture role with Delegat’s. Four years there gave Nick a very diverse experience of high quality large scale viticulture and the role as Assistant Manager of Delegat’s Heretaunga Plains Vineyards all saw him involved with a number of large scale vineyard developments on the Gimblett Gravels. 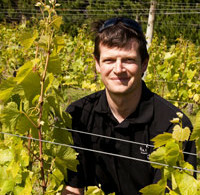 When the vineyard manager’s role at Mudbrick came available it appealed to Nick as offering the chance to get into a more hands-on role and to allow him to apply the skills and knowledge gained to produce the best possible wines from two unique sites on Waiheke, not to mention the chance to live on the Island while working in a challenging and rewarding viticultural role. Nick is really looking forward to working with Pat to create some stunning Waiheke wines. 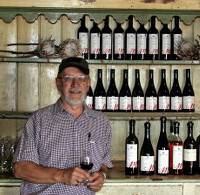 Bob has been a staple of our tasting room for over ten years now, and truly loves wine and all its nuances. He will take you through the whole spectrum of our wines and will be able to recommend his favourite vintages, an advantage of long term service! He is not quite part of the furniture yet he says, but knows Mudbrick inside and out, and has an extensive knowledge of all things Mudbrick. Bob is also an accomplished photographer and is responsible for many beautiful shots of Mudbrick featured on our site.